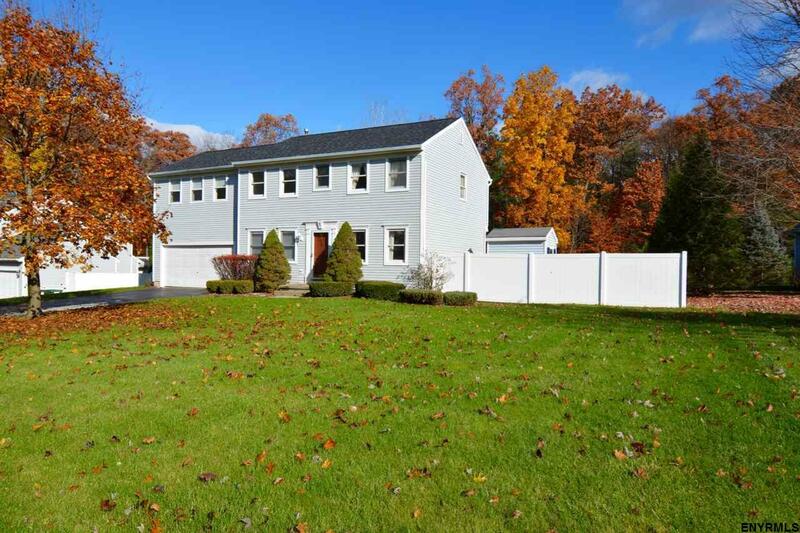 Beautifully maintained colonial just minutes from Saratoga Lake. Updated kit w granite counters, SS app (1 yr old), travertine back splash. that opens into cozy FR w wood burning fp. FDR, LR and 1/2 bath complete the 1st floor. 2nd fl has 4 generously sized BRs (MBR w full bath, WI closet), a laundry room and add'l full bath. Full, dry finished basement 3 yr old roof, 10 yr 50 gal H2O heater. Furnace is original with new gas valve & pilot ignition module. PVC fence, heated IG pool. Taxes w/out STAR.